All activities at the Vulcan Snow Park will be open starting on Saturday, January 26, at 9 am with the official Vulcan Krewe 2019 coming out at 10:00 am. 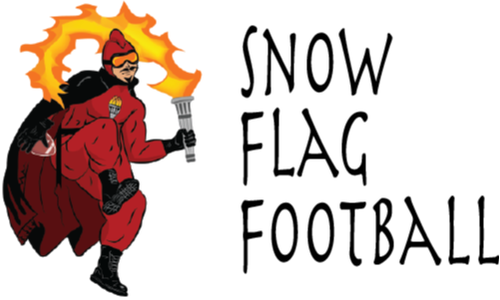 We invite and welcome visitors to participate in and/or watch the creation of giant snow blocks and other structures. 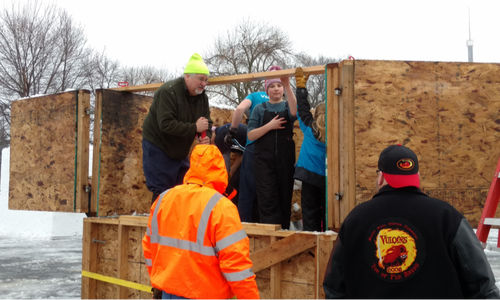 Vulcan Snow Park collects food for Second Harvest Heartland. 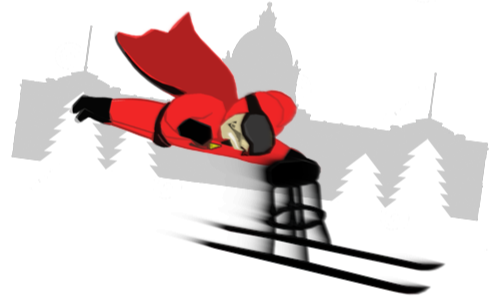 Your donation gets you a free ride down the snow slide—and maybe a free Vulcan fire truck ride! Learn how to donate. 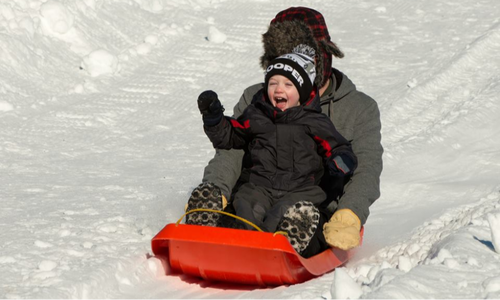 Every day also features a snow maze and a snow mountain to play on! New for 2019! 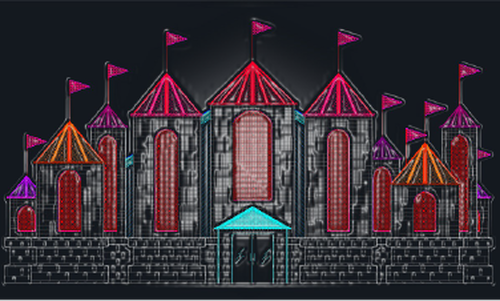 The first-ever Fire Castle houses a nine-hole golf course unique to Vulcan Snow Park. Grand opening is 5 pm on January 25! 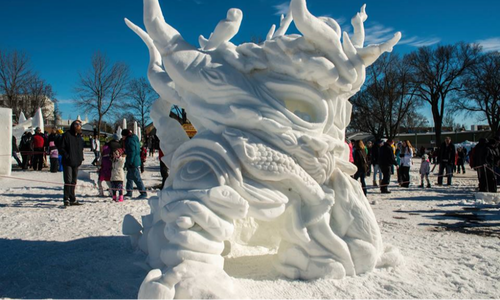 Come watch as amazing sculptures emerge from the snow. Finished sculptures are on display for the duration of Vulcan Snow Park (which is illuminated after dark) or until they collapse. 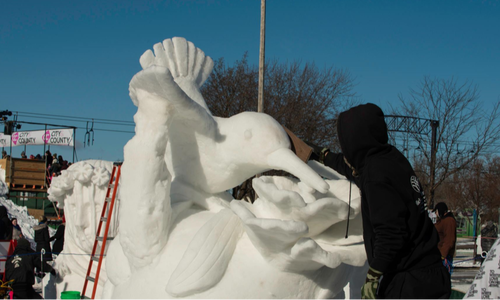 Three-member teams from through Minnesota transform an 8' x 8' x 8' blocks of snow into amazing works of art using only hand tools. Come watch the sculptures take shape, vote for your favorite sculpture, and watch the awards presentation.​ Plan now to enter your own team! 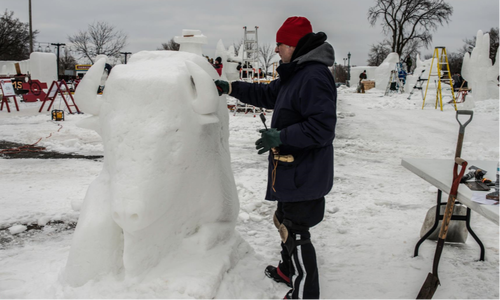 Teams of one to three sculptors tackle 4' x 4' x 6' blocks of snow to create a sculpture in just one day using only hand tools. Come cheer them on, or enter your own team by January 10! 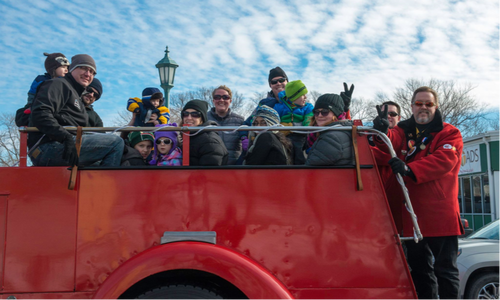 Vulcan Fun Day is a big day full of great family activities, such as FREE fire truck rides. Come join the party! 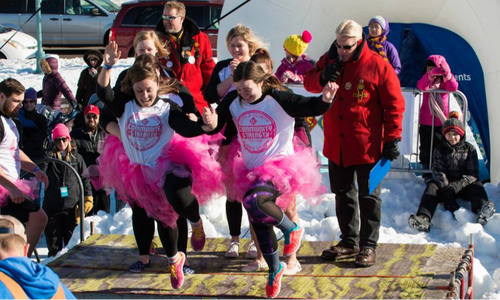 Vulcan Snow Park will once again host both daytime and nighttime Polar Plunge events. Participants ride a bar stool attached to skis, competing to be first down the slope. Plan now to enter your barstool team! ​Get ready for Vulcan Snow Park 2019!